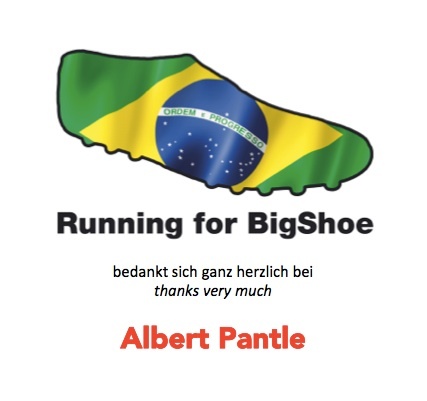 „Running for … BigShoe“ #charity has its first #donation !!! Thank you Albert :) | Running for … an ambulance. Thank you so much, Albert !!! As chairman of the Association Bilbassi eV I already had the pleasure to meet Albert during my first charity run. And until today I’m very impressed by what he has set up in Senegal, together with many volunteers: a Children’s Hospital in the city M’Bour, fully funded by private donations. This performance is for me at least as an inspiration for life, as the 70-year-old athlete, who crossed together with me the finish line in Wiesbaden at the Ironman 70.3. With this donation my run for BigShoe is started. Transferred to the IRONMAN race course in Frankfurt, it means that I’ve done the swim of just 3.8 km and run into the first transition zone. Who accompanies me now with his donation on the bike course??? Again, I thank you very much Albert for the successful launch and look forward to the next supporters !!!! The details of the donation account can be found here. Pingback: THANK’S CHRISTIAN!!! Deine #Spende gibt Rückenwind. #BigShoe #charity is on track! | Running for … an ambulance.